Don’t Confirm Brennan. Torture AND Drone Assassinations Are Illegal. Some like Cole, at least have the decency to preface their comments with “well they are both wrong, but…..” while Bellinger III and others of his Lawfare ilk post their challenges on the other side of the partisan “divide”, that in fact killing is worse than torture, using such common sense arguments that it’s better to be alive with your fingernails torn out than to be dead. Isn’t this partisan “divide” as to whether torture or drone assassination is preferable as the lesser evil a bit like counting how many demons can dance on the head of a pin? It’s certainly confusing to those of us who think torture AND drone assassination are wrong, wrong, wrong. The unfortunate result, however–and perhaps the goal of the two party kabuki theater–is that the entire red herring “debate” distracts the partisans of both parties, making both Republicans and Democrats more complacent about both torture & drone assassination. This is how so many people come to ignore the right and wrong of it all and turn it into a mere political difference of opinion. Finally our Veteran Intelligence Professionals for Sanity (VIPS) group just warned Senator Feinstein of the following thorny issues raised by Brennan’s testimony in his confirmation hearing. We write to urge you to ensure due diligence regarding John Brennan’s fitness to become CIA director before you make the next-to-the-worst mistake of your tenure on the Senate Intelligence Committee by endorsing Brennan. Your worst – perhaps you will now agree – was your vote to authorize war on Iraq. Brennan Now Taking Aim at Iran? This recent history is highly relevant because, at the time, John Brennan had a ringside seat for this unconscionable charade as it was being acted out (more on that below). Of still more importance are recent signs that Mr. Brennan intends to ape his discredited mentor, former CIA Director George Tenet, by slanting intelligence to “justify” an even more catastrophic attack – this time, on Iran. British documents leaked in 2005 – acknowledged as authentic by the UK government – detailed the hoax being prepared to “justify” war on Iraq. In a July 23, 2002 briefing to British Prime Minister Tony Blair, the head of British intelligence reported that then-CIA Director George Tenet had told him at CIA headquarters three days earlier that “the intelligence and facts were being fixed around the policy” for war on Iraq. This is a far cry from what Brennan admitted to – namely, just having had “awareness that the agency was being asked to do this [and] was going forward on it. … [and having] visibility into some of the activities there.” Again, on the basis of the fundamental principle of need-to-know, Brennan would have had zero “visibility” into the highly sensitive torture program, were Tenet not to have wanted him to be involved – or, at least, kept informed about it. 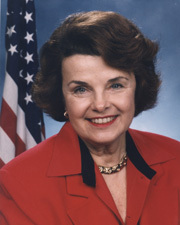 You began Brennan’s confirmation hearing by stating that the number of civilian deaths caused by US drone strikes each year has “typically been in the single digits.” This brought to mind the extraordinary public claim Mr. Brennan made on June 29, 2011, that “nearly for the past year there hasn’t been a single collateral death” as a result of CIA drone strikes in Pakistan. Cross-posted at Huffington Post; shorter version at Anti-war blog and VIPS memo originally published at Consortium News. This entry was posted in Death and tagged CIA Torture, Drones, Iran Nuclear Weapons, John Brennan Cia, John Brennan Cia Director, Minnesota, ran, Senator Amy Klobuchar, Senator Rand Paul, torture, US Senator Dianne Feinstein. Bookmark the permalink.